The Factory Ministries | Join us Tuesdays, Wednesdays, and Thursdays in July from 12:00pm-2:00pm at Paradise Elementary School for the Summer Enrichment Program! We need volunteers to assist with art projects, character lessons, and games in the gym during the second half of the Summer School Program led by Pequea Valley School District. Invest your time this summer into the children of Pequea Valley! We need help filling the second and third week of Summer Enrichment Camp! Visit tiny.cc/SummerProgram2018 or email Becca@thefactoryministries.com to learn more! Join us Tuesdays, Wednesdays, and Thursdays in July from 12:00pm-2:00pm at Paradise Elementary School for the Summer Enrichment Program! We need volunteers to assist with art projects, character lessons, and games in the gym during the second half of the Summer School Program led by Pequea Valley School District. Invest your time this summer into the children of Pequea Valley! 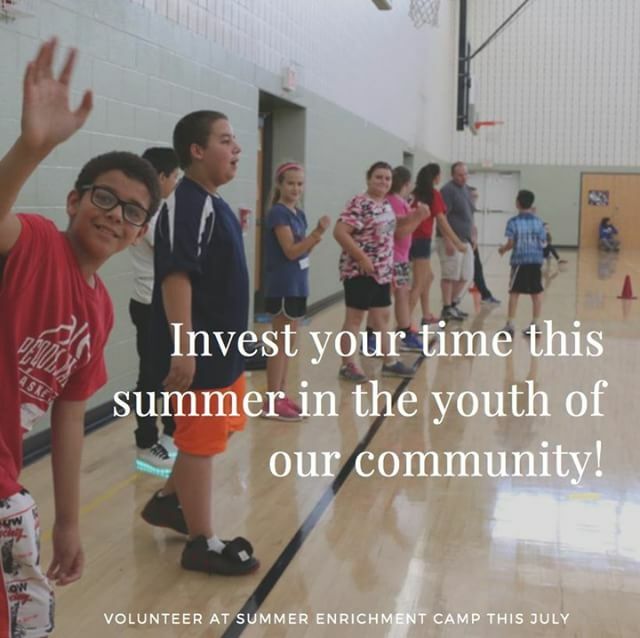 We need help filling the second and third week of Summer Enrichment Camp! Visit tiny.cc/SummerProgram2018 or email Becca@thefactoryministries.com to learn more! Home > Join us Tuesdays, Wednesdays, and Thursdays in July from 12:00pm-2:00pm at Paradise Elementary School for the Summer Enrichment Program! We need volunteers to assist with art projects, character lessons, and games in the gym during the second half of the Summer School Program led by Pequea Valley School District. Invest your time this summer into the children of Pequea Valley! We need help filling the second and third week of Summer Enrichment Camp! Visit tiny.cc/SummerProgram2018 or email Becca@thefactoryministries.com to learn more!